3. Which of the following manifestation would most concern by nurse Geneva caring for a client diagnosed with pregnancy induced hypertension (PIH)? 7. Nurse Josephine is caring for a client who is receiving magnesium sulfate for the treatment of severe preeclampsia. 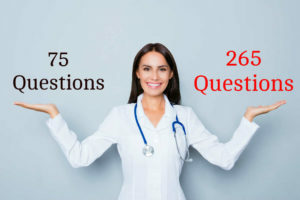 Which is the nurse’s priority intervention? 8. A client has had a total abdominal hysterectomy under general anesthesia. Once the client has been returned to the hospital room from surgery, which should nurse Mariane do first to promote the client’s comfort? 10. A client in the labor suite is receiving an intravenous solution and begins complaining of headache and dyspnea. Nurse Rebecca observes the client’s face is flushed and that she is tachycardic. The nurse should? 12. When an antepartum client is ordered to have a contraction stress test, nurse Selena anticipates administering which of the following oxytocin drugs to complete this test? 14. A client has just been returned to her room following a radical mastectomy. Which of the following actions would nurse Tanya take first? 16. A client has been given instructions regarding breast self examinations. Which of the following statements made by nurse Lester by the client reflects an understanding of the instructions? 18. Which of the following drugs would nurse Tin knows to be inappropriate in the treatment of premature labor? 20. A client being seen in a family planning clinic asks nurse Sammy how a fertilized egg grows in the uterus. The nurse explains that certain hormones help the zygote to implant in the uterus and grow. Which hormone is most responsible for maintaining the pregnancy? 22. Which of the following measures would be most appropriate for nurse Kim to implement with a client having back labor?